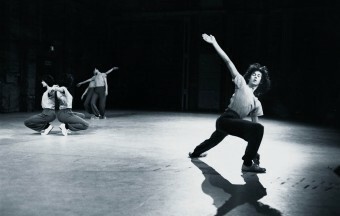 In nearly four decades Rosemary Butcher has made over 50 works, toured internationally and is regarded as one of Europe’s most consistently radical and innovative choreographers. Profoundly influenced by her time in New York from 1970-72 where she encountered the work of The Judson Group at its height, she subsequently introduced those ideas to Britain at her 1976 ground breaking concert in London’s Serpentine Gallery. 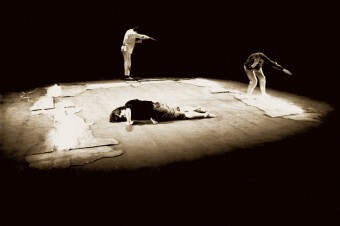 Since then, Butcher has developed her own movement language and choreographic structure. 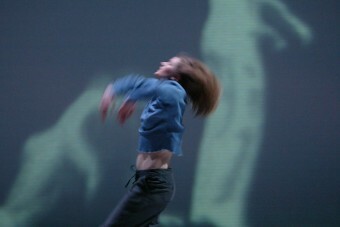 By her determination to remain an independent artist, her use of cross arts collaboration in music, visual arts, film and architecture within the choreographic process and her frequent choice of non-theatrical spaces to present her work, she has forged her own place within the European contemporary dance scene. 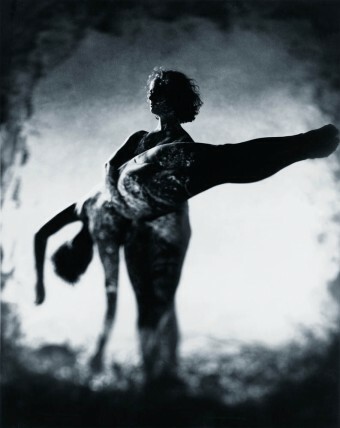 Unlike many of her British contemporaries who see their work as Dance-Theatre, Butcher’s influence has followed the ideas and concepts of the visual arts, particularly in painting and sculpture, and has engaged with the developing philosophies within those movements. 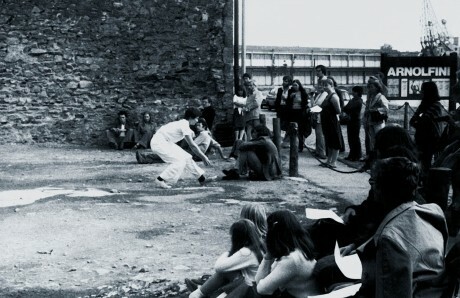 In the mid-sixties, Butcher became the first student of contemporary dance at the then radical Dartington College of Arts. An Elmgrant Scholarship took her to the USA in 1968 and over the next four years into contact with the postmodern Judson Church movement. 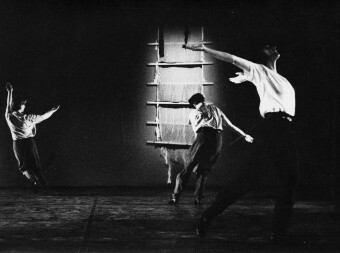 In the studios of SoHo in New York she took daily classes, performed and attended the showings of work by Simone Forti, Meredith Monk, and Lucinda Childs. 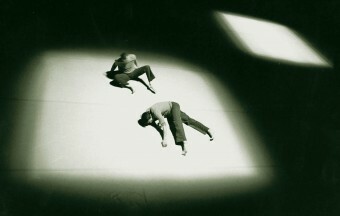 But it was the conceptual ideas of Yvonne Rainer, Steve Paxton’s Contact Improvisation technique and one concert in particular, Walking on the Wall, a work by Trisha Brown performed at the Whitney Museum, that was to profoundly inform her choreography. 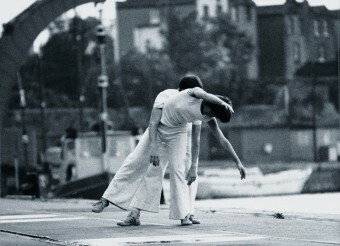 Returning to London, in 1976 she launched her own work at a ground-breaking concert in the Serpentine Gallery. 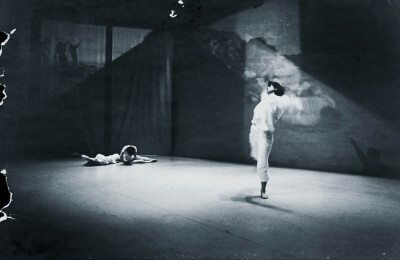 Although she was given a Royal Society of Arts award in 1977 for the duet Landings, Butcher’s choreography largely lacked institutional recognition by both critics and dance funding bodies. 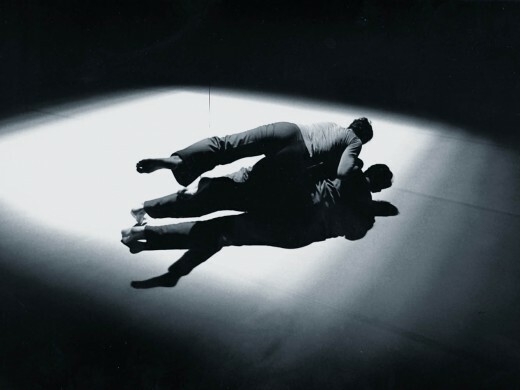 These years produced duets informed by contact improvisation (Space Between, Anchor Relay) and group pieces exploring her New York experiences (Dances for Different Spaces, White Field and Passage North East). Crucially, Butcher began to uncover a mature, independent vision through collaboration with international visual artists, initially with Jon Groom in Five Sided Figure but most notably with the German artist Heinz Dieter-Pietsch. 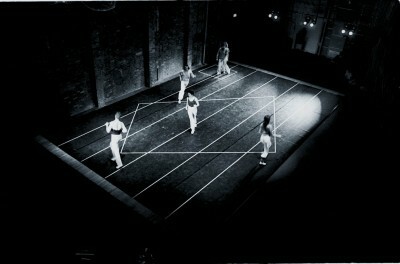 The resulting Spaces 4, Traces, Imprints and seminal piece The Site were to anticipate much of the British conceptual inspired dance of the 1990s. 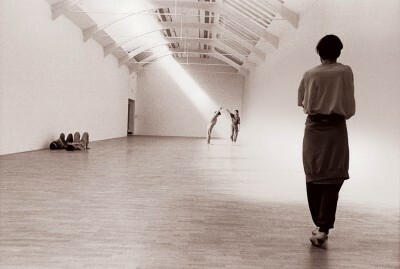 Critical opinion shifted following her ten-year retrospective concert in 1986 and the popular success of two works in collaboration with composer Michael Nyman (Flying Lines and Touch the Earth) resulted in a return of institutional funding that between 1985-89, enabled Butcher to make larger-scale works. This included the tripartite d1, d2, 3D, in collaboration with architects Zaha Hadid and John Lyall, and After The Crying and the Shouting with music from Belgian composer Wim Mertens and an installation by visual artist Ron Haselden. With more mainstream contemporary choreographers in vogue, revenue from conventional dance funding bodies once again dried up even as her athletic modes of movement, formal approach and artistic independence became impossible to ignore. 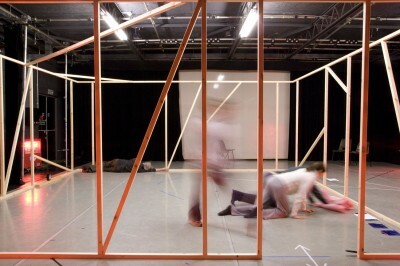 In supporting the creation of Body as Site, it was to be Barclays New Stages Award with the Arts Council Visual Arts Collaborations fund that enabled Butcher to continue her creative research. 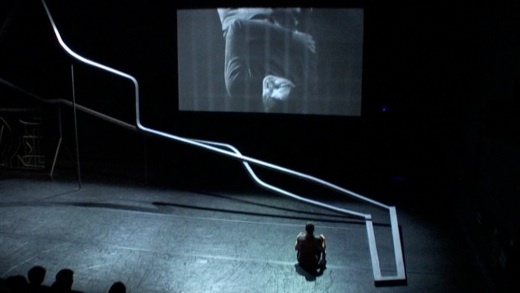 For this work, a graphic designer, architect and two visual artists created installation environments to challenge how, choreographically, she sited the body of a dancer. 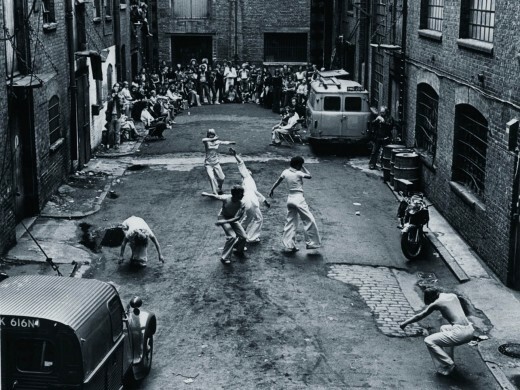 Body as Site was followed by works still more removed from British mainstream dance. Unbroken View, with German artist Sigoune Hamann, After the Last Sky, a video installation at the Royal College of Arts meditating on war and destruction, and a duet probing trust and dependency, Fractured Landscapes, Fragmented Narratives. 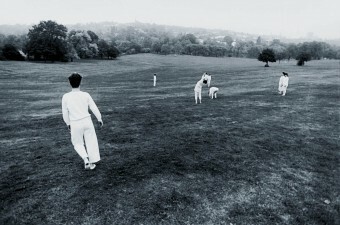 Following a second retrospective in 1996, Butcher was awarded one of the first three-year Arts Council of England fellowships. Aided by this period of funding, the remarkable work SCAN was made, involving collaborations with Turner Prize shortlisted visual artist Vong Phaophanit and composer Cathy Lane. 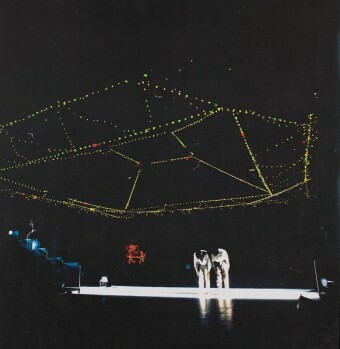 It was this piece that launched her work internationally, touring around the world in 2000 through the support of the British Council and in Britain was presented in London’s Hayward Gallery in the Southbank Centre. 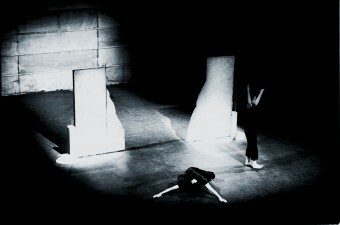 A year later Still-Slow-Divided was made with the support of Tanzquatier Vienna, forging a continuing artistic dialogue. 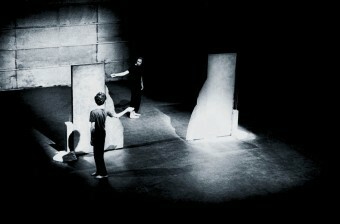 Two important relationships were fundamental to the development of the work from 2002 onwards. Firstly with the European promoter Walter Heun; who through his company Joint Adventures administrated and promoted the work. Secondly, the remarkable dancer Elena Giannotti who has proved a muse to Butcher’s choreography. The partnership of Butcher and Giannotti has to date produced five strikingly original works. 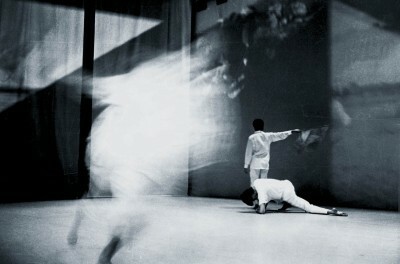 The large scale performance work White and the short film Vanishing Point both of which were collaborations with German filmmaker Martin Otter. 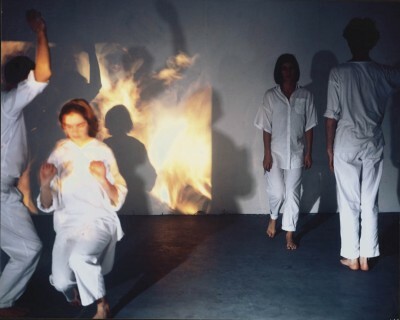 A series of three solos united under the collective title of Women and Memory collaborating with lighting artist Charles Balfour and composer Cathy Lane have toured internationally and were memorably presented in London’s Tate Modern. 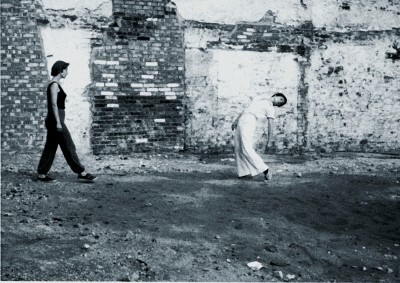 Over four decades, leading up to July 2016 when she left us, British choreographer Rosemary Butcher has made radical and innovative works that crossed the disciplines of choreography and visual arts. 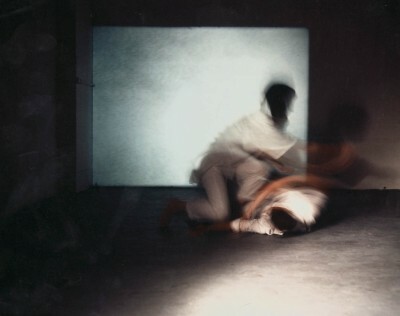 After returning to the UK from New York in the 1970s, Butcher often explored non-theatrical spaces – galleries, architectural and open sites – for presenting her works, and has worked with designers, film makers and dancers, making key choreographic film works including Vanishing Point and SCAN. 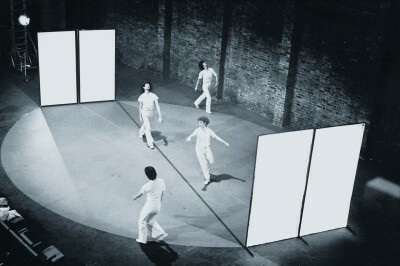 She staged Women and Memory in 2005 at Tate Modern, signalling the interface she had forged between visual arts and dance. She is known for her collaborations with established artists, architects, designers and musicians, including Dieter Pietsch and Michael Nyman. For her choreographies Butcher worked consistently and repeatedly with established dance-artists and through her teaching in the UK and overseas, her work has influenced several generations of practitioners. She has left detailed and complex archives, some of which remain to be digitised and made publicly accessible. 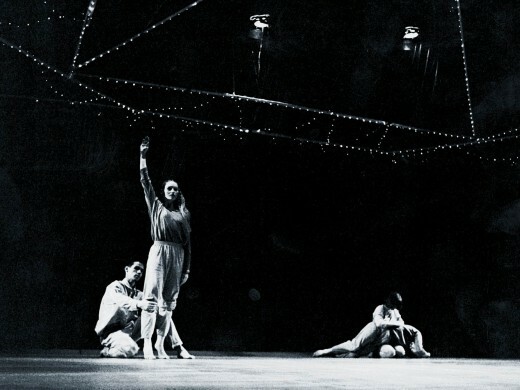 The event will facilitate a shared space for remembering her and her work, and for tracing the legacies of a key British choreographer of the 20th and 21st centuries. It will feature a roundtable with key dancers and other artists who worked with Butcher, as well as a screening of one of her film works. We are calling for expressions of interest to contribute in any format from practitioners who have worked with and remember Rosemary Butcher. We are particularly interested to hear from those whose own work bears and can demonstrate the impress of her ways of working on their own undertakings. The event is organised by Kirsty Alexander, Lauren Potter and Stefanie Sachsenmaier (Middlesex University). Please send a short description (up to 400 words) of your proposed contribution (up to 20 minutes length and with minimal technical requirements) as well as a short biography (up to 250 words) to s.sachsenmaier@mdx.ac.uk. Deadline: 23 October 2016. Accepted proposals will be communicated by 4 November 2016. The event is free but booking is essential – registration will open in November. Please bring your own food. Tea and coffee provided. ANNOUNCEMENT: We are sad to report that Rosemary Butcher passed away quietly on Thursday afternoon. Any further news will be posted in due course. Rosemary’s research explores the exchange of ideas translated through language relevant to past works, which informs the realisation of a new work. Working in the present is foregrounded through an overlay of the participants’ understanding of a past work as transferred by Rosemary’s instructions, which constitute remembrances. 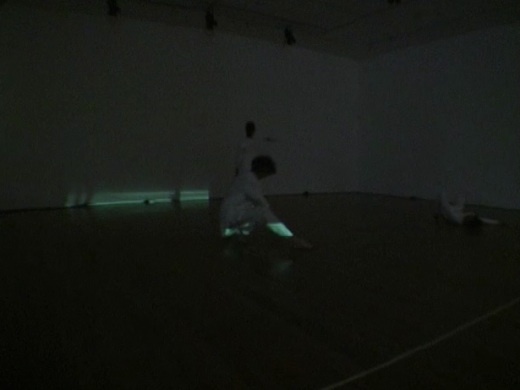 During the process Rosemary will address wider aspects of conceptual work and the nature of performance. The workshop emphasises the practical, with dialogue and discussion. Critical Pathways is for a maximum of 10 experienced independent dancers and choreographers, by application. To apply, please send a short biography to info@independentdance.co.uk with a contact telephone number and email. 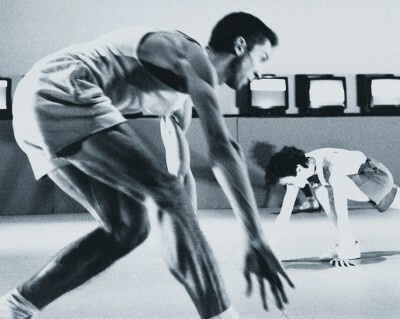 Rosemary Butcher, British ‘icon of new dance’, is visiting Tanz im August for the first time – with four works from her archive project Memory in the Present Tense. SCAN, originally inspired by a book about medical imaging, looks at the inside and outside of four bodies that move within a narrow grid. 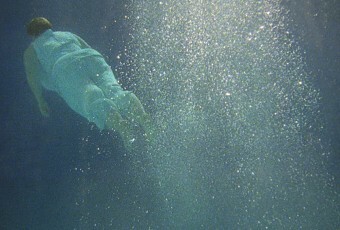 After The Last Sky is a video installation that deals with the isolated body in exile, working with mental and physical boundaries. 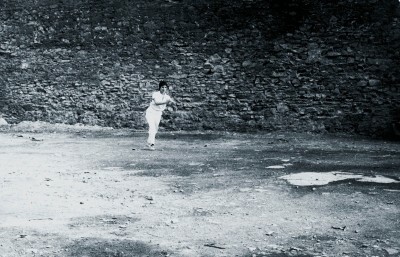 Alongside addressing these works from her archive, Butcher is showing two new works created in parallel to her engagement with her own archive: The video installation Secrets of the Open Sea and the performance The Test Pieces circle around the question of memory in relation to the present and future. A double bill featuring a film installation, Secrets of the Open Sea, and a performance, Test Pieces, as part of an investigation of memory in relation to the present and future. 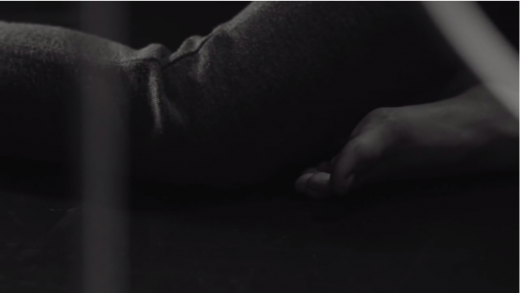 Both works are presented in Nottingham Contemporary as part of NottDance 2015. 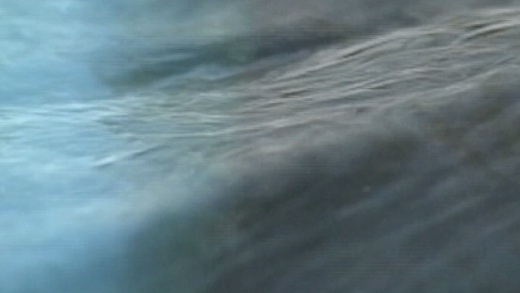 Secrets of the Open Sea is a pivotal film installation from archive series Language as Source. 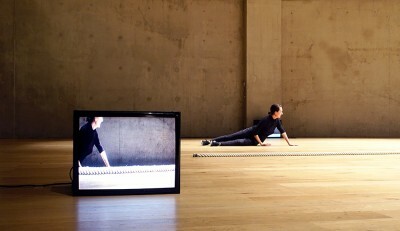 A three-screen video installation creates a sculptural and immersive experience around the concept ‘desolation of things past and decayed.’ References to and from the past remain integral to the work which functions as an active ‘searching’ for ‘lost legacies’ that the spectator engages in. 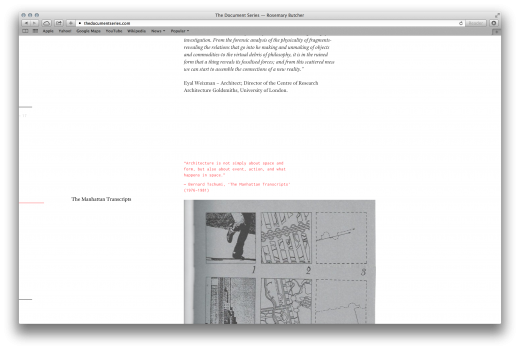 The archive installation integrates recordings of creative processes and in particular deals with development of language used in now-archived work. 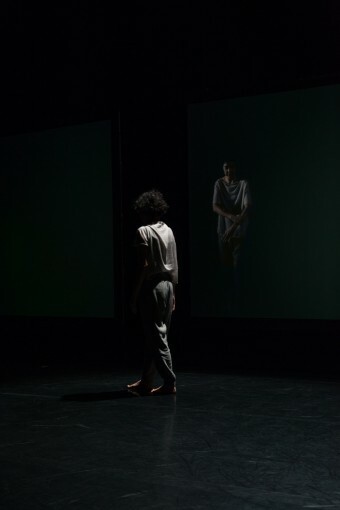 This is further illustrated in Rosemary’s new live gallery work Test Pieces, involving four dancers, negotiating a form that is revealed through working with a specific site, thematically linking the connection to her specific history of the Judson Dance Movement. Inspired by the perception of form in ruins, the work is an active enquiry into what remains, a ‘looking at something that has its root elsewhere’, in a process of choreographic notation that shifts forward and backwards in time. 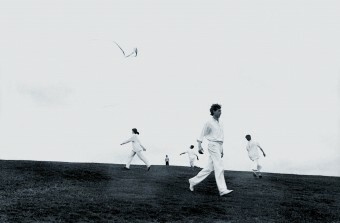 In addition to the new works, the Memory in the Present Tense exhibition is held at The Bohunk Institute. The archive exhibition integrates recordings of creative processes and in particular deals with development of language used in now-archived work. The exhibition includes conversations with dancers, edited into a collision of ideas over several decades. 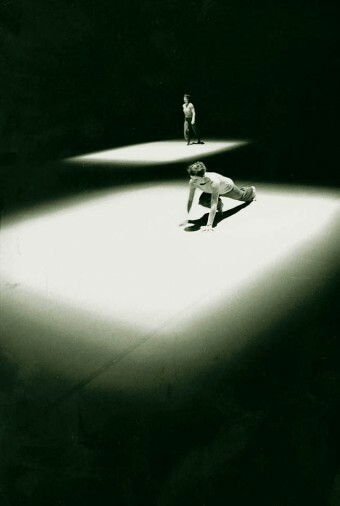 New recordings of conversations with dancers are juxtaposed with a careful selection of archive film material. Test Pieces was made possible in partnership with Arts Council England, Middlesex University, Dance 4, Tanztendenz Munich, Städtische Galerie im Lenbachhaus in cooperation with Joint Adventures Munich. 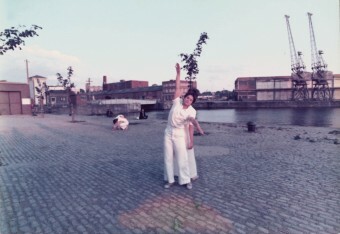 The Document Series, a new online project from Rosemary Butcher, is a platform for exploring connections between the emerging new work cycle (entitled Memory in the Present Tense – Rosemary Butcher 1976 to the present day) and her expansive history of choreographic projects. Memory in the Present Tense is a project encompassing a series of works, which are multi-faceted in their outcome, drawing on a range of media including live performance, archive film, new film, photography and writing. 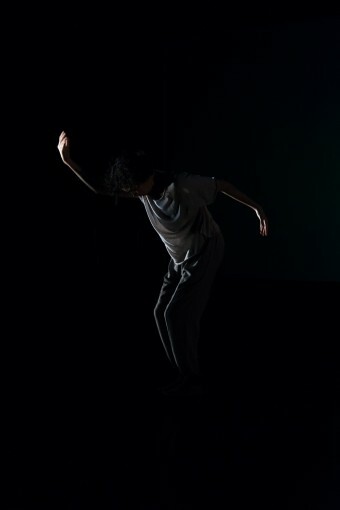 During “Dance At Judson And On And On And On”, Rosemary will be part of the symposium “Judson and Beyond” alongside Ramsay Burt, Bojana Cveijc, Kirsten Maar and Martina Ruhsam. The symposium takes place in the context of a special cooperation with the Städtische Galerie im Lenbachhaus. 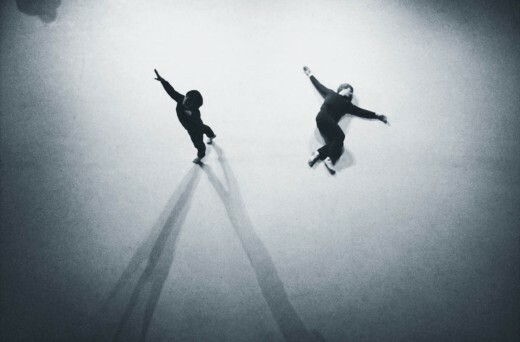 The point of departure is the phase of art history in which both visual artists and choreographers founded a groundbreaking laboratory that tested the art forms’ limits between 1962 and 1964: the Judson Dance Theater. Titled “Judson and Beyond”, the symposium investigates thought typologies in choreography and their effects on contemporary dance and visual art. 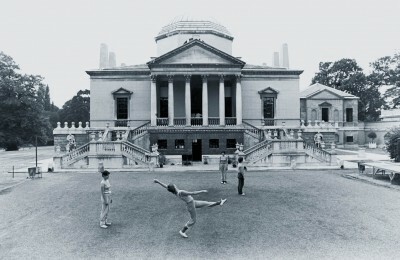 The ideas of the Judson Dance Theater’s representatives – Trisha Brown, Lucinda Childs, David Gordon, Deborah Hay, Steve Paxton or Yvonne Rainer – are investigated on the backdrop of current discourse and artistic work methods for choreographic strategies and processes of perception as well as their respective contexts in art history and social politics. The symposium’s objective is to introduce an interested public to differentiated theoretical questions with open and free lectures and to sensitize the audience for approaches to contemporary dance. 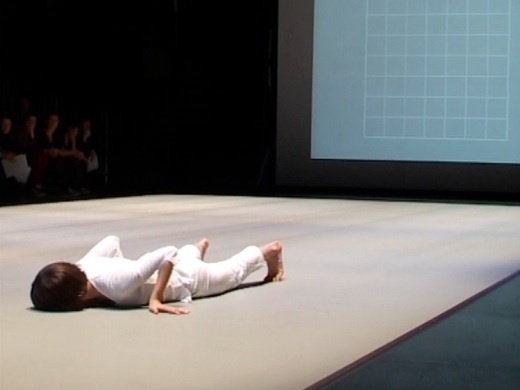 Since 2011, the theoretical framework at Tanzwerkstatt Europa has been set by a symposium in which well-known scientists and theoreticians address questions about artistic practice in choreographic art. In co-operation with Kulturreferat der Landeshauptstadt München. Rosemary will be creating and premiering a new work as part of “Dance At Judson And On And On And On” in Munich this August. With Munich choreographers and dancers Sabine Glenz, Katrin Schafitel, Judith Hummel and Mey Sefan. 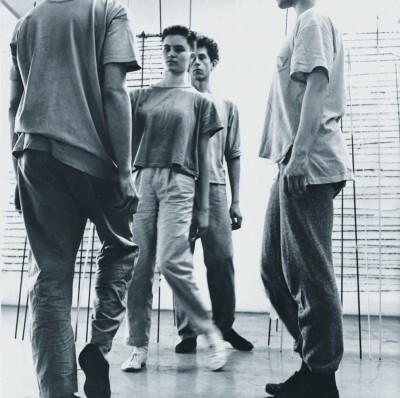 In accordance with the history and architecture of the space, the British choreographer Rosemary Butcher will develop a new work with dancers from Munich. 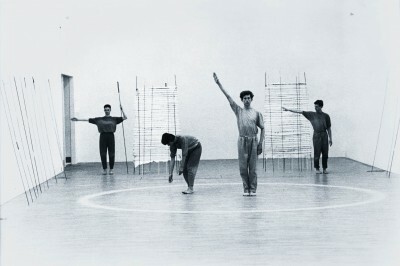 The point of departure is the concept of “activities” – and thus Butcher’s artistic reference to the Judson Dance Theater. It will be about the process of movement’s creation that enables one to simultaneously work on different levels between past and future choreographic material. Butcher will concentrate on the trace of the dancers’ bodies that remains after they move in space. 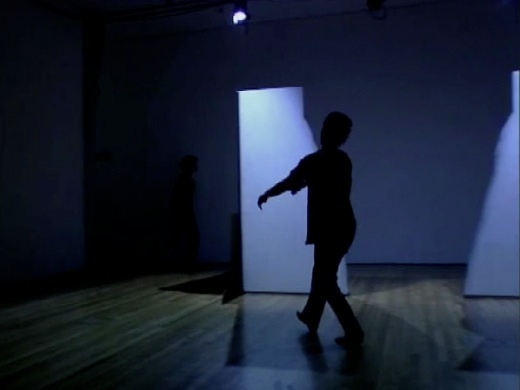 What remains of something whose origins lie in a choreographic process that jumps back and forth in time? A two day workshop lead by Rosemary Butcher focusing on the way dance and visual artists work with the body in their practice. It is a chance to investigate the meaning these traditionally distinct disciplines might represent for each other and what their coming together can reveal about the fundamental concerns, frameworks and manifestations particular to each. It will also be an opportunity to address the issues surrounding galleries and live performance. Rosemary Butcher is in conversation with Claire Hicks as part of the keynote presentation for this one day symposium. Rosemary Butcher has been awarded an MBE for services to Contemporary Dance as part of the Birthday Honours. 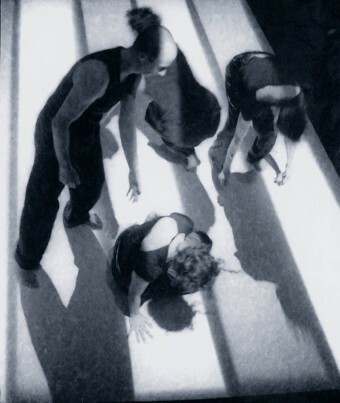 This year’s Critical Pathways is connected to the area of practice as research, focusing on choreographic frameworks. The course takes place over two weeks, with time between to reflect, and includes morning class with Rosemary Butcher and Jan Burkhardt. To apply, please send a short biography to info@independentdance.co.uk with a contact telephone number and email address. Single weeks may be possible, but priority will be given to those who can attend both. Application deadline for the first week is the 31st January. These workshops are for experienced independent dancers and choreographers. 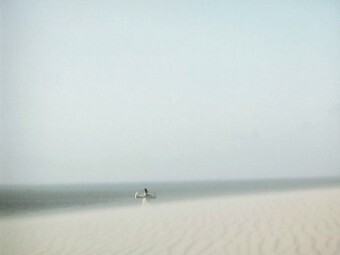 Context connected to the area of practice as research, focussing on choreographic frameworks – Solitude, Independence and Collectivity. Please contact info@rosemarybutcher.com to book a place. Please bring full payment with you to the first workshop you attend. 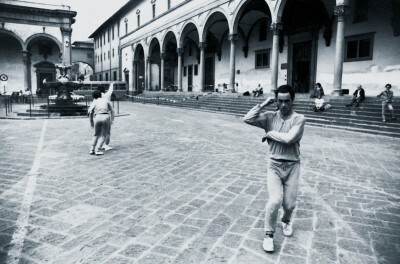 The After Kaprow project was made possible with support from Middlesex University, Arts Council England, British Council, Bloomberg LP, The Place, South East Dance and Centro per la Scena Contemporanea, Comune di Bassano Del Grappa. 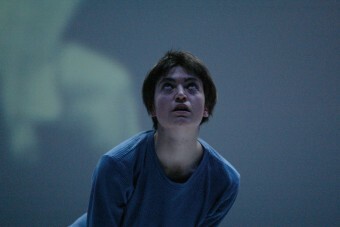 Book of Journeys, a dual screen film, was commissioned as part of South East Dance’s Forward Motion scheme. 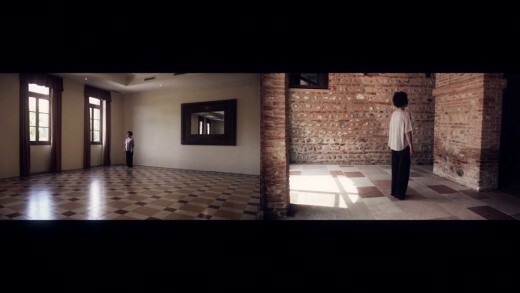 Filmed during a one-week residency in Bassano del Grappa, the work examines the notion of women inhabiting rooms. This film draws on the history imbued in the rooms themselves; a monastery and ruined castle reminiscent of the Hammershøi interiors. Book of Journeys weaves a narrative that moves from past to future on one side and future to past on the other, overlapping in the present. The residency was made possible by Centro per la Scena Contemporanea, Comune di Bassano Del Grappa. 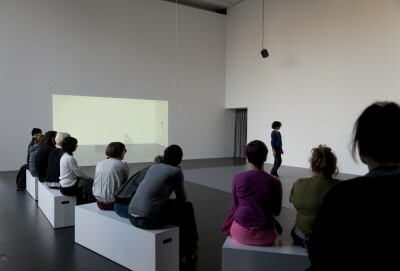 The Silent Room takes the form of a dual-screen installation in dialogue with two live performers. The mediated aspect of the piece affords direct opportunities to develop this dialogue along specific spatial and temporal lines. The interplay between the projected and the real suggests vectors of temporal transition. There is a sense of the moment and what simultaneously lies outside of it; we witness the past and present and construct from them potentials for movement in the future. Throughout, there is a focus on stripped down and almost static movements of the body. 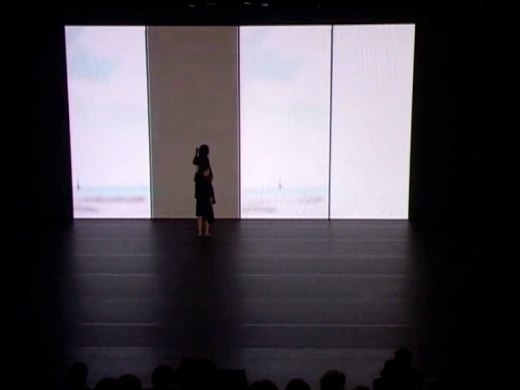 After Kaprow was commissioned for Bloomberg SPACE by Bloomberg LP, 2011. Produced by The Place. Nominated for Critics Award to Independent Artists. Edinburgh Winter School for New Moves. Trinity/Laban Independent Dance MA course, Investigating Practice. BFI Southbank Symposium Presentation of work with lecture and dialogue with Daria Martin. 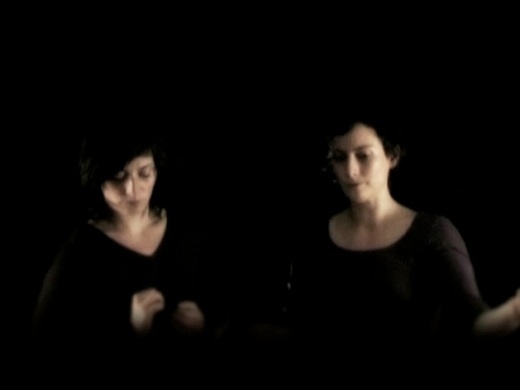 Work in progress for After Kaprow – The Silent Room shown at COMMA 40, a season of performances curated by The Place at the Bloomberg Space, London. Appointed as one of the Resident Artists at The Place, London. The main principles in this work were those of participation, changeability and simultaneity. 18 Happenings in 6 Parts involved a number of performers and was set up as an installation. The gallery space was divided into three rooms which were separated by semitransparent plastic sheets mounted on wooden frames. Each room contained a number of folding chairs and was differently lit. 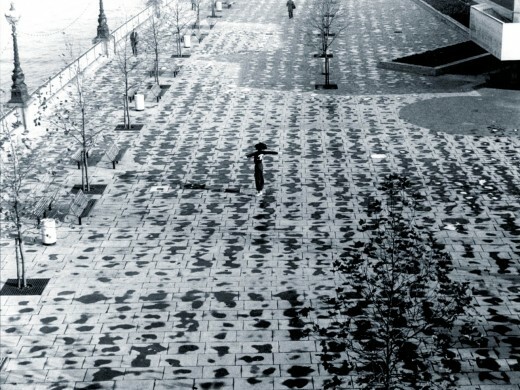 Actions would take place simultaneously in each space, which meant that spectators could not witness all happenings. 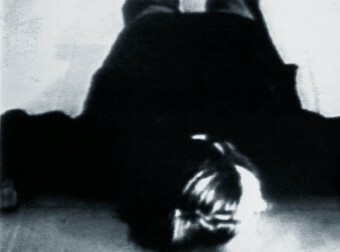 Rosemary Butcher’s 18 Happenings in 6 Parts did not seek to reproduce faithfully Allan Kaprow’s iconic 1959 performance. Instead it drew on the scores that Kaprow left for the piece. The fact that he left these scores in the archive of his work is in effect an invitation to reinvent his Happening. 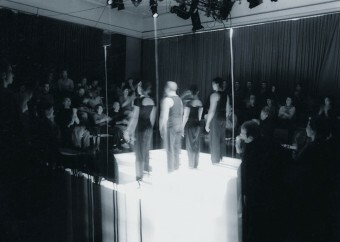 Butcher approached this task as a choreographer and chose to work with dancers although the performance that they eventually created contained no dancing. 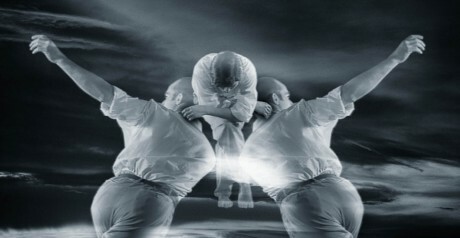 as part of Move, Choreographing You at the Royal Festival Hall, Southbank Centre, London. In a piece that seeks to extend the definition of dance, live performance is set against new film work and a sculptural installation designed by Post Works. 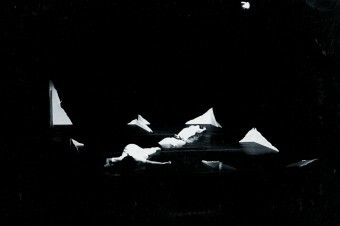 The choreography was created by Rosemary Butcher and born out of discussions with dancer Elena Giannotti about Darwin and the skeletal structure and morphology of animals. Daria Martin’s film captures the resulting performance in impressionistic fragments and powerfully depicts the inner world of the dancer as she navigates her way through the piece. 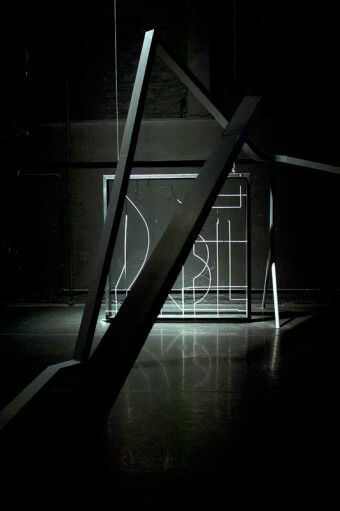 Post Works’s sculptural framework of steel and light acts as a viewing frame, delineating the edges of the performance space, and a register against which to view the physical movement of the dancer. Celebrating the processes of translation and transformation, the work expands on the inherent slippages that occur between one language, physical state, space or discipline to another. 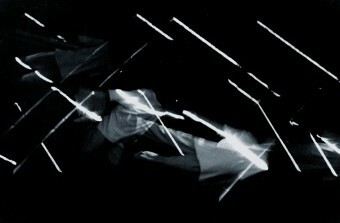 Installation film from Lapped Translated Lines. Seeking to explore movement as an unspoken language, the performance space is dominated by a number of floor-to-ceiling Corinthian columns shifting back and forth, with performer Elena Giannotti in the midst of the movement. Examining the impact of politically motivated territory changes, Destructive Navigations is a fascinating visual representation of the ruin these decisions can lead to. ‘Spectacular Simplicity’ – a panel discussion at The Place theatre chaired by Professor Ramsey Burt. Sadler’s Wells invites Rosemary Butcher to curate a series of four works she titles Festival of Miniatures. The selected works are Philipp Gehmacher and Vladimir Miller’s dead reckoning, Nicole Beutler’s Dialogue with Lucinda and two new works by Butcher – Destructive Navigations and Lapped Translated Lines. Appointed Visiting Professor at Frei University, Berlin, Germany. 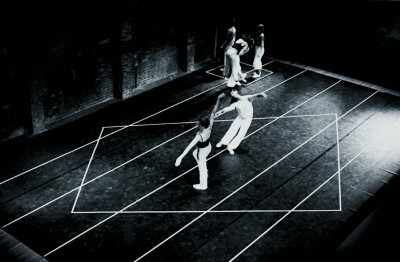 Critical Pathways, Siobhan Davies Studios, London. Museum of Modern Art, Oxford. Exploring Boundaries: Arts Practice and Sociological Research Methods, Institute of Modern Art, Middlesborough. Invitation to curate Festival of Miniatures series for Sadlers Wells, London. 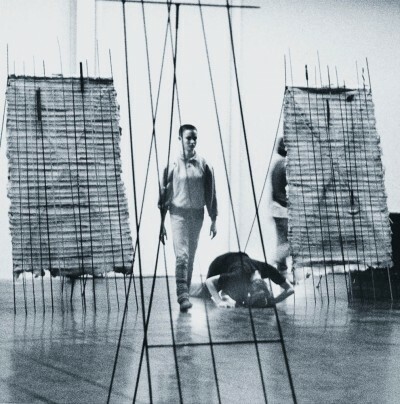 Invitation from Hayward Gallery, Southbank Centre, London and Kaprow Trust, Los Angeles, USA to reconstruct Allan Kaprow’s 1959 work 18 Happenings in 6 Parts. 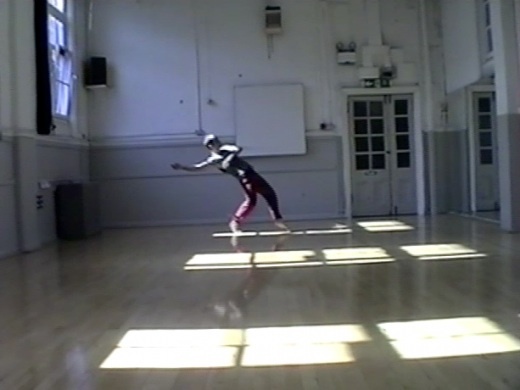 Set up weekly mentoring course for students developing choreographic practice at Siobhan Davies Studios, London for Independent Dance. 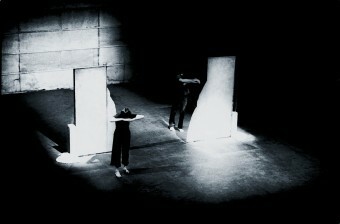 Workshops for Icelandic dance students and performance of Stories in the Rocks, originally commissioned by Laban, UK. Teaching and consultation residency at University De Montfort, Leicester. Mentoring choreographers at The Place, London. 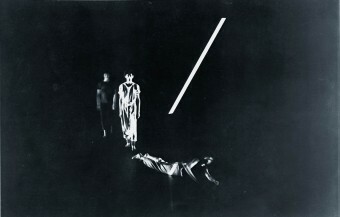 Recreation of SCAN performed by 2nd year students at Laban Theatre, London. 4 week teaching and production residency at Critical Paths Dance Agency, Sydney, Australia. Appointed Artist in Residence at South Bank Centre, London. 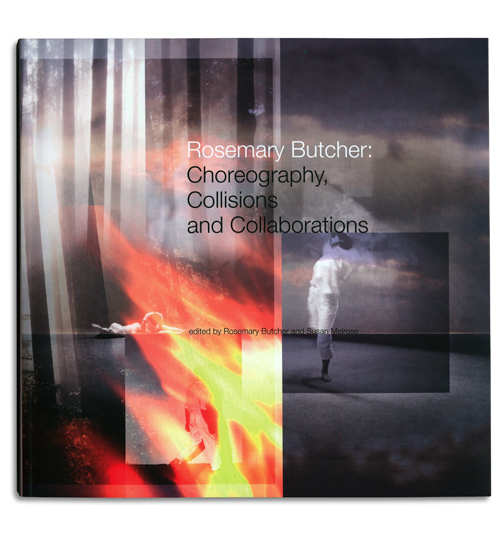 Rosemary Butcher’s choreography follows an archival journey across the United States and in particular New York, where she studied at the time of the Judson Church movement. The concept centres on an interaction with a remembered past, specific to the urban environment of New York in the late ’60s and early ’70s. In the choreography, a rigorous physical journey is marked by a single figure measuring out a pathway within a confined space. 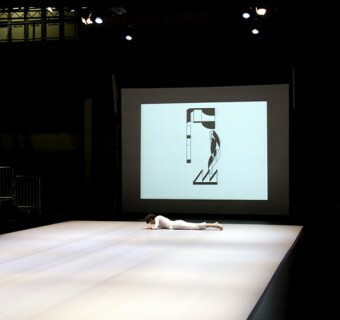 Post Works’s set consisted of two projection screens that framed the extremities of the performance space and a film projected onto the screens that ran for the length of the performance. 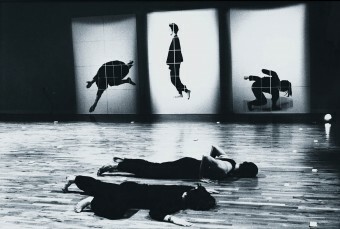 The film consisted of a series of fictional gridded landscapes and movement notations, that emphasised particular narrative strands within the choreography and mimicked the movement of the dancer. 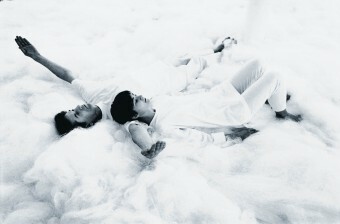 The projected film aimed to act both in union and in disjunction with the choreographed movement. Funded by the German National Performance Network with funding provided by the German Federal Foundation as part of its Dance Plan Germany and the Bavarian Association for Contemporary Dance BLZT by means of the Bavarian State Ministry of Sciences, Research and the Arts. Co-funded by Dance Umbrella, UK and Pflatzzbau, Ludwigshafen, Germany. Commissioned by Dance Umbrella and Dance Venture Munich. Studio progress material for Episodes of Flight. Discussion at Choreographers in Conversation, part of the Body Language series at Sadlers Wells, London. 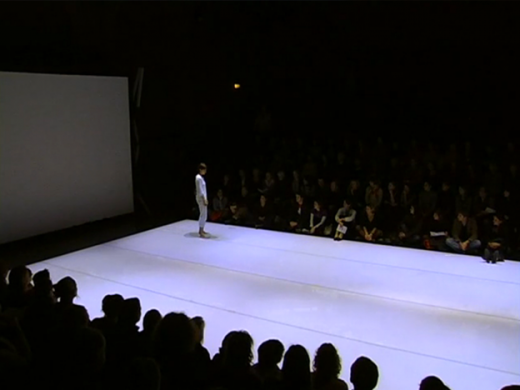 Co-production Award – 11th International Festival for Contemporary Dance (Munich, Germany). Independent Dance workshop Recording The Future. 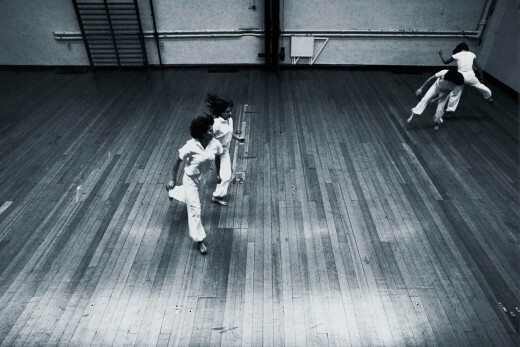 Teaching and mentoring for choreographers and dancers at Siobhan Davies Studio, London. Munich City Council residency, Munich, Germany. 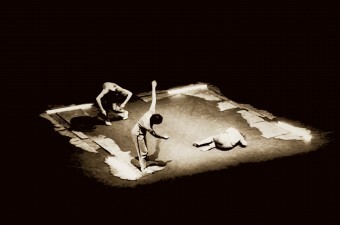 Stories in the Rocks – choreographic original work commissioned by Laban, London. 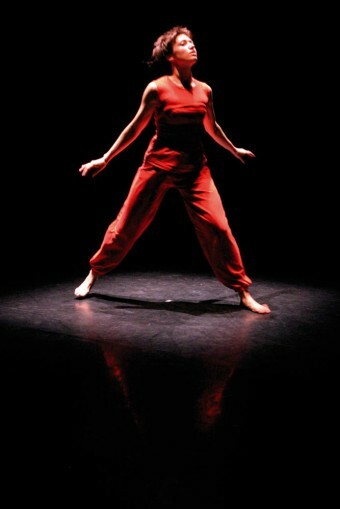 Performed by 3rd year BA students in the Laban Theatre. 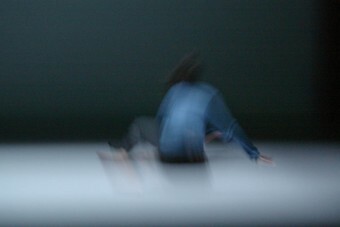 Artist’s residency at Dagdha Dance Company, Limerick, Ireland. A 10 minute film developing the interdisciplinary research and shared language that begun with the film Undercurrent (2001). A cinesonic choreography and landscape; violently switching, dissolving surfaces, white out, darkness, silence, natural harmonic, cataclysmic burst. The body going nowhere, tearing portals in relentless turmoil to a memory image inside the image, sound inside the sound. The journey as it might have been. Commissioned by Tate Modern, Butcher collaborated with Why Not Associates who contributed vast projected images alongside the diminutive figure of Giannotti. With dramatic lighting by Charles Balfour and a soundscape by Simon Keep, the work is a dramatic evocation of the concept in the distortion of memory. 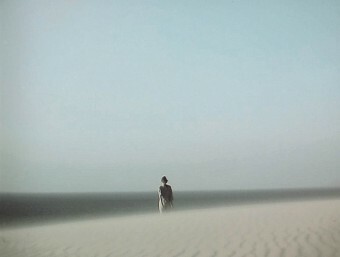 The trio of works Images Every Three Seconds, Hidden Voices and The Hour, in addition to the film Vanishing Point, form a quartet of solos for Elena Giannotti. 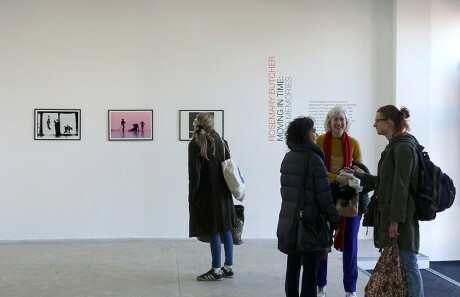 Choreographed over a period of four years, the original concept that binds the works together is the experience of women travellers encountering the condition of women internationally. 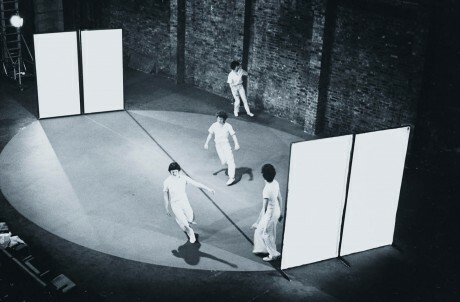 The four works were presented as a programme and toured internationally but a most memorable performance, with only the three live pieces, was in the Turbine Hall of the Tate Modern, London. The form and movement language of all four works are a further development of Butcher’s work and highly original in their construction. 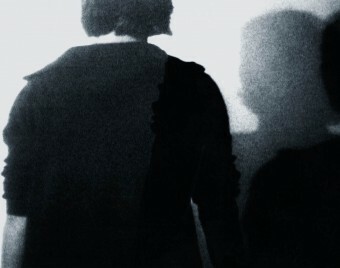 Examines the question of visual identity with strong reference to the work of Kobo Abe. Rosemary Butcher has developed the concept from the idea of the hidden, where it is not possible to understand the whole. It is also an attempt to understand the whole of an image and therefore the complete picture from what is available. Only the viewer is recorded, never the arena or the object of the viewer. The image is split into multi-screen collisions and overlapping information of identity is created. The structure therefore bring together the similarity of any image at particular times, emphasising the recognition of the viewer and the view. Rosemary’s artistic career is traced through a series of essays, each focusing on a different aspect of her work. Photographs of her productions inform and combine with the text to make the book a work of art in its own right. Monograph, ed. Susan Melrose/Rosemary Butcher, Middlesex University Press, 2005. Designed by Why Not Associates. Breathtaking in its simplicity, Hidden Voices sees Giannotti, dressed in red against the starkest of environments, rocking fast, rhythmically and relentlessly to Cathy Lane’s extraordinary soundscape. The effect is both mesmeric and exciting. 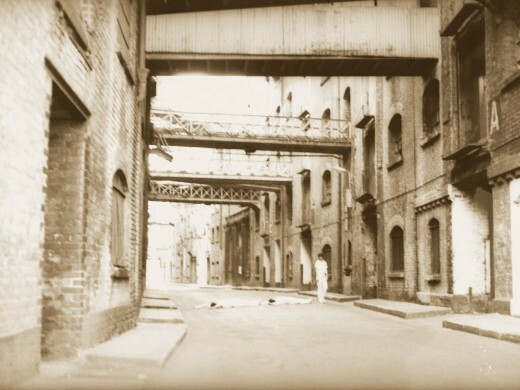 Produced and directed by Why Not Associates, the work was successfully rephrased and restructured into four three minute episodes for television in Channel 4′s Three Minute Wonders, broadcast in April 2006. The second collaboration with German film maker Martin Otter, it was the second of Butcher’s films. 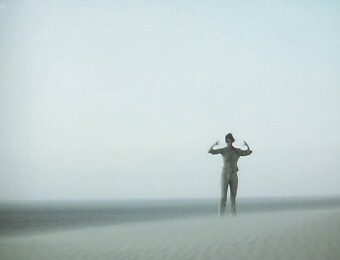 With the figure of Elena Giannotti set against the desert in Andalucia, Spain and comprising principally of one shot and with only three cuts, it is a moving evocation of women’s position in an often male dominated society. It is usually screened as part of Women & Memory. The work is constructed around and within a light installation by Charles Balfour. 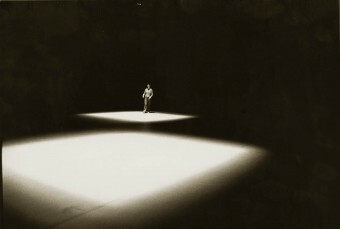 A small square of constantly changing light patterns is projected onto the floor. 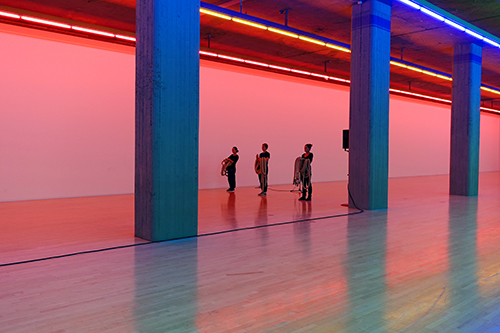 With the addition of Simon Keep’s sound, Giannotti counterpoints constantly changing phrases of movement that are set against and within this light installation. Thus these movements, parts of the body and sometimes the whole body, are caught and illuminated momentarily – every three seconds. Each short phrase is independent of the next. 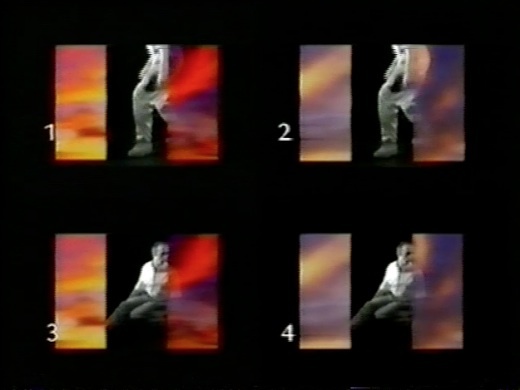 Video projection film for White. 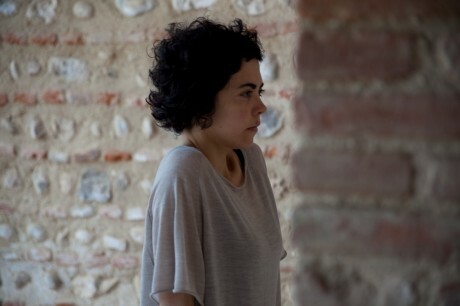 This was the work that was to start the extraordinary working relationship between Butcher and dancer Elena Giannotti. The concept with film maker Martin Otter was based around the journey of the British explorer Shackleton. 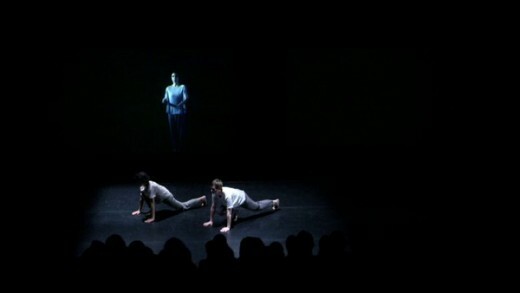 Three dancers – Giannotti, Anise Smith and Anna Holter – moved in counterpoint to a five metre projection screen with the dancers on live and pre-recorded images. 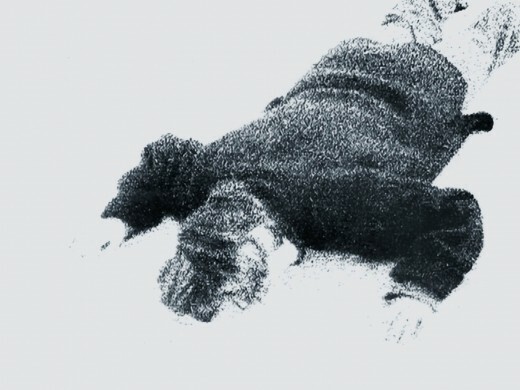 The score by Cathy Lane hauntingly evoked the horror of Shackleton’s journey. University College of Dance, Stockholm. 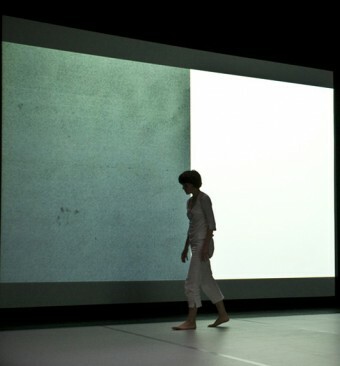 Jerwood Choreographic Award (commission to make White). 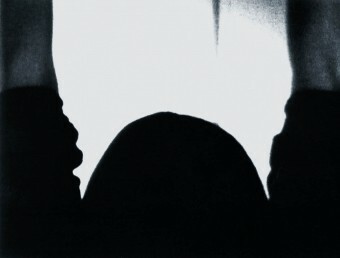 Excerpt from the SCAN installation film. The work that was to launch Rosemary Butcher on the international touring circuit. Studio progress material for SCAN. Royal College of Art, Gulbenkian Gallery, London, UK. workshops for Visual Art students. 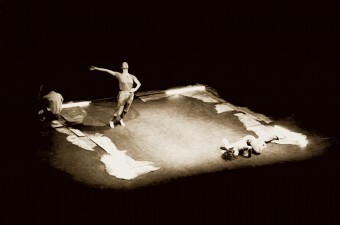 A version of the work titled Unbroken View – Extended Frame was made for Group N in Scotland and performed at the Tramway Theatre, Glasgow. Visiting Fellow, Royal College of Art. 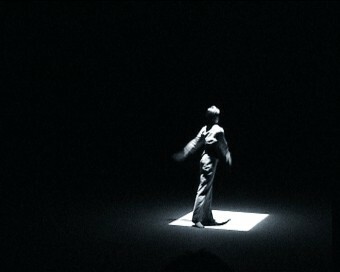 An installation film work, it was presented in the Royal College of Art’s Gulbenkian Gallery, in the round projected onto four screens. 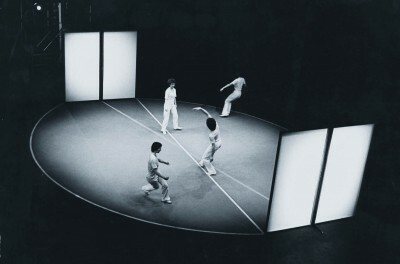 It was the first installation dance work in the UK. Studio progress material for After The Last Sky. 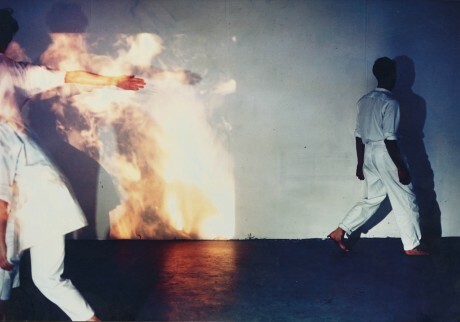 Arguably, along with works such as The Site (1983), SCAN (1997) and Women & Memory (2005), Body As Site reworks the possibilities of what dance can represent within a highly profound conceptual framework. 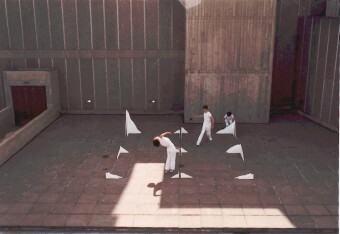 Working with two artists, Anya Gallacio and Ron Haselden, the graphic artist Paul Elliman and the architect John Lyall – Butcher made the decision that instead of the artists responding to the movement concepts, the visual collaborators would provide an environment or construction independent of the movement and she would choreograph a response to their work. Three of the separate sections were linked only by the music of Simon Fisher Turner and in the fourth the artist produced the sound. The results were radical and extraordinary. 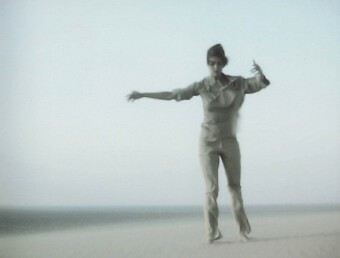 Not filmed dance, but choreographed film. A four dimensional collage, of gestures made now, set against historical fragments. This tape is about the individual’s relationship to the moment of history. 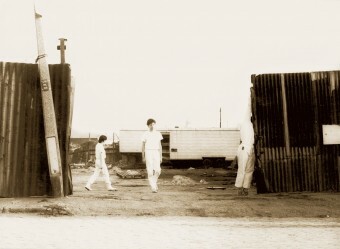 About displacement, nostalgia, and the desire to return home, when home no longer exists. This work was aborted before performance. It was an ambitious idea to develop a work over a year through performance and collaboration with two architects and in all three sections with composer James Fulkerson. 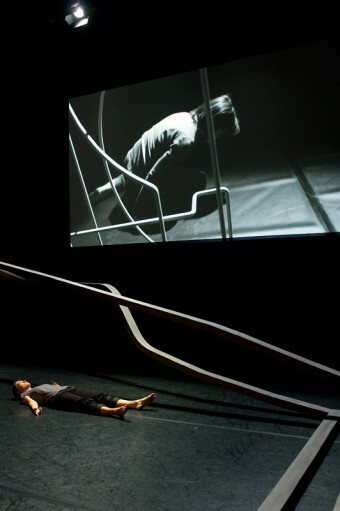 d1 was performed in the ballroom of The Royal Festival Hall over Zaha Hadid’s restless floor, inspired by ley lines. 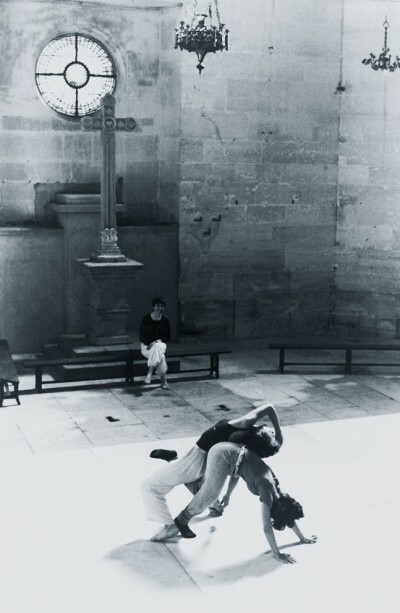 d2 collaborating with architect John Lyall, used the magnificent rawness of the then still under construction Baroque church of Christ Church Spitalfields, to produce one of the most memorable dance concerts of the time. The conclusion of the third part of the work, 3D, was commissioned by Glasgow European City of Culture as part of their programme. 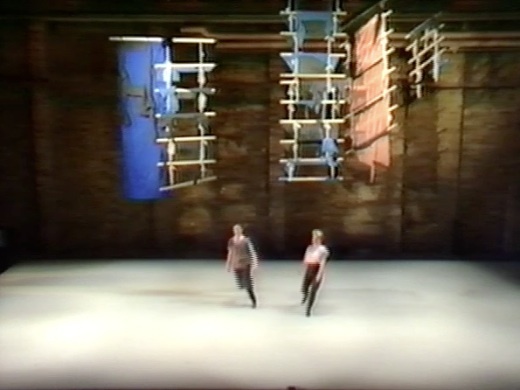 Again working with John Lyall and James Fulkerson, it was performed in the Tramway Theatre (originally converted for Peter Brook’s Mahabharata). It is the largest and most spectacular work that Rosemary Butcher has produced and received a rapturous response from the Glasgow audience. Problems with funding from the English Arts Council’s Dance Panel meant that it was not performed again. Commissioned by Glasgow City of Culture. 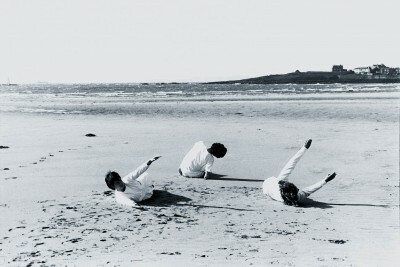 Summer Residency, English Dance Theatre, Newcastle, UK. Architecture Winter School Workshops, School of Architecture, Edinburgh, UK. This work was the second collaboration with composer Michael Nyman and the last with Dieter Pietsch. 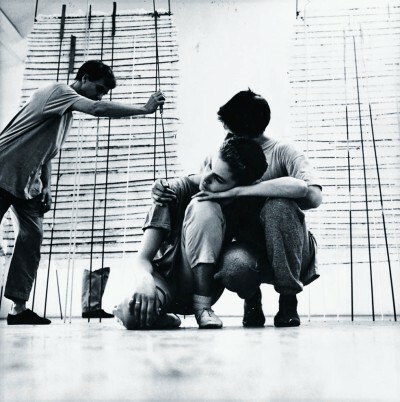 Premiered in the Whitechapel Gallery, then under the curation of Nicholas Serota (who was later to become the director of the Tate Britain and Tate Modern), it was from the first performance a huge success with both audiences and critics subsequently touring art galleries throughout the UK. Time Out Dance & Performance Award for Outstanding Creative Achievement. Schools’ Educational Residency, Bristol, UK. Greater London Arts Award for Service to British New Dance. One of Butcher’s most original, complex and profound works, it was inspired by a trip to an Iron Age fort on the Castle Drogo estate in Devon. 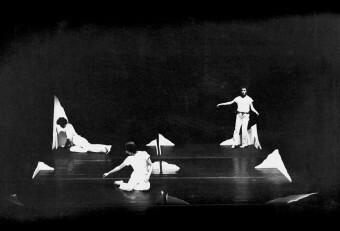 Working within the area defined by the pressed papier maché U-shaped floor installation (Pietsch later used peat in a similar form in a revival at the retrospective some thirteen years later), with tubes of white light brightening and dimming, the dancers moved and placed themselves compositionally through the most pared down of movement. The work itself was developed in the studio using the terminology of archaeological digs as instructions to improvisation of the dancers. 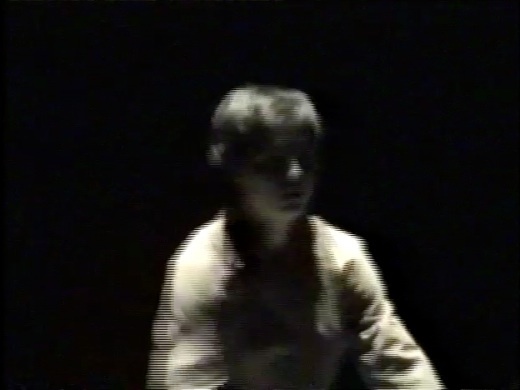 Malcolm Clarke’s bleak electronic sound, responding to the concept and the movement, contributed a profound sense of time and space to the work. 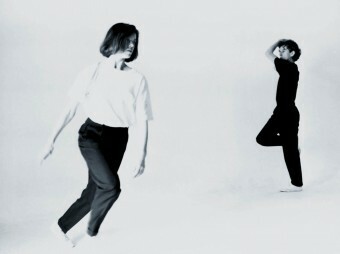 The film clip shown here is from a rehearsal of Imprints for the In Retrospect performance in 1996/7. The second and more adventurous collaboration with Jon Groom and this time, also as collaborator, with American composer James Fulkerson (then husband of American choreographer and teacher Mary Fulkerson). 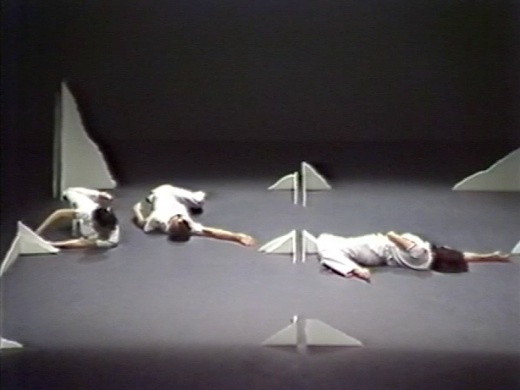 The relentlessness of Fulkerson’s trombone improvisation, the stark geometry of Groom’s installation set on the diagonal and with the choreography and movement based around the interpretation of the spiral construction of a conch shell, produced a powerful and hypnotic work. Spaces 4 was the first of six collaborations with Heinz Dieter Pietsch. These collaborations were to provide some of the most original and successful of her works. 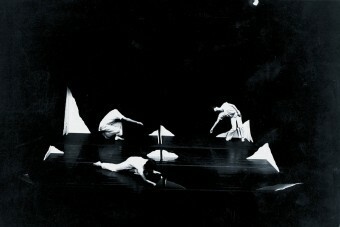 For this piece Pietsch was to provide low right-angled fragments, painted white; defining four distinct spaces around and through which the dancers moved. 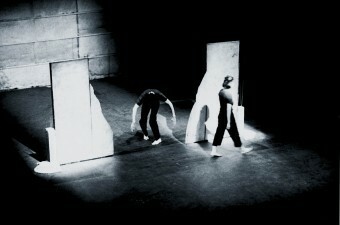 The work stood as a dialogue between movement and construction. 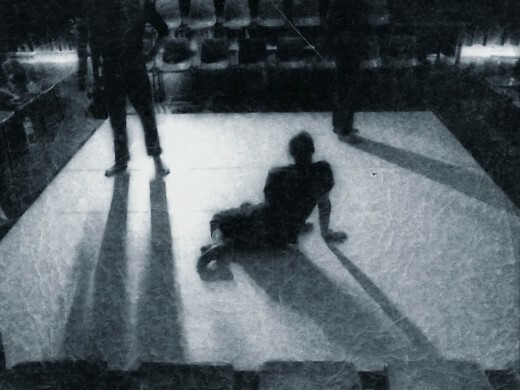 Performed in silence, it was perhaps far nearer to performance art than to contemporary UK dance as it was then understood. This work was Butcher’s first collaboration with a visual artist, this time with Jon Groom. 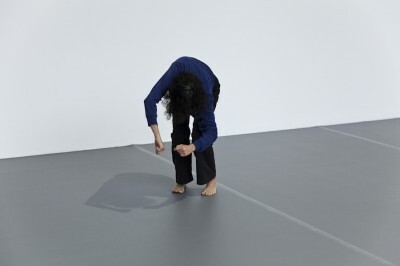 With this piece she began to establish her own unique choreographic language and moved away from the direct influence of the New York Judson Group, while also developing her collaboration methodology that would sustain her work over the next two decades. Butcher would provide the initial concept that would then be developed in conjunction with her collaborators. 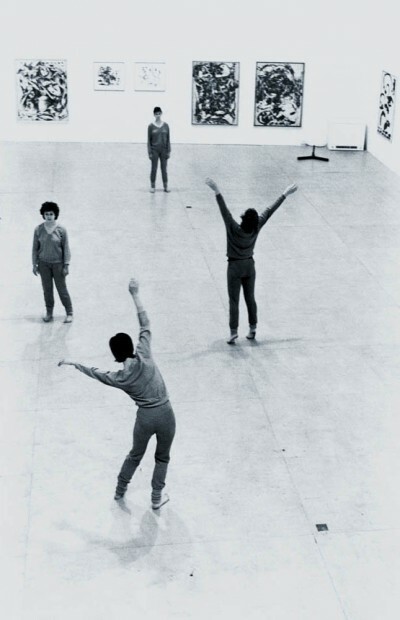 Each artist would then evolve the ideas within their own work and construct their own response, always round the primacy of choreography and movement. The work from 1977 until the middle of 1980 shows Rosemary Butcher most influenced by the New York Judson Group and in particular by the work, teaching and writing of Yvonne Rainer. With no sound, no set, no costumes, no narrative and no message, Butcher’s choreography was pared down to stark and functional movement in space. 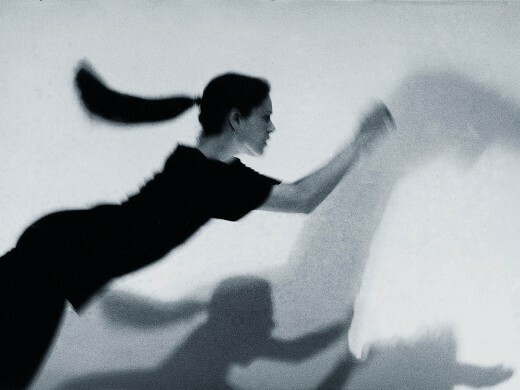 However, in pieces such as Theme, she was also beginning to experiment with her own language, form and structure. 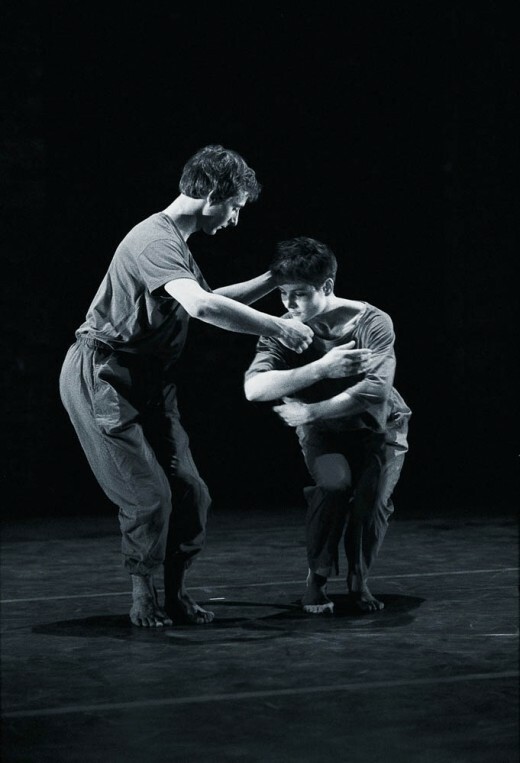 The work during this period was unlike anything else happening in dance in the UK at the time and perhaps not unsurprisingly was often greeted with puzzlement from some of the audience and particularly the critics. 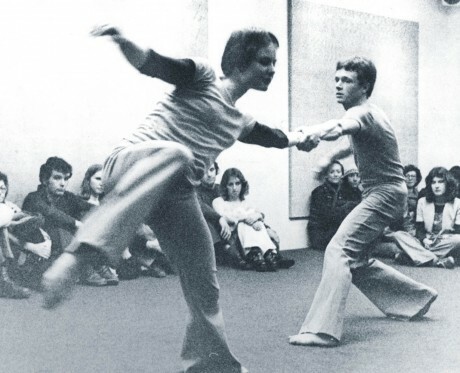 There were others, however, who saw it as an inspirational break from the stranglehold that ballet and the Graham technique had on dance in the UK. Traveling Scholarship Award, Royal Society of Arts. Designed to be capable of being adaptable in its response to different performance spaces, it was at its most spectacular at the Arnolfini Gallery in Bristol. It was performed outside the gallery on the Quayside. 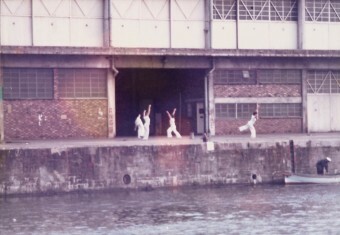 The performance commenced on the other side of the dock from the gallery and where the audience was located. 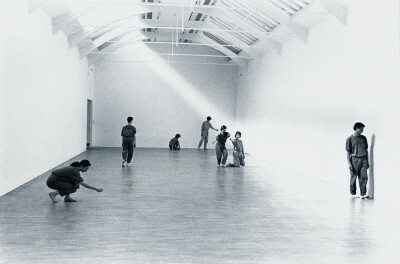 The dancers were then rowed across to complete the work outside the gallery, close to the audience. One of a triptych of duets (with Space Between and Anchor Relay) choreographed for the two outstanding dancers, Maedee Dupres and Julyen Hamilton. Its making followed Butcher’s attendance of a week’s course with Steve Paxton, held at Dartington College of Arts in Devon a few months before, where he was then a full time tutor. 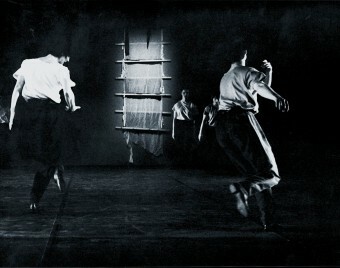 It was the first use in the UK by a British choreographer of his Contact Improvisation technique. 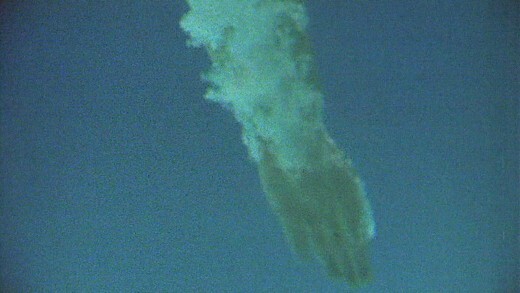 Landings was also to win her a Royal Society of Arts award. 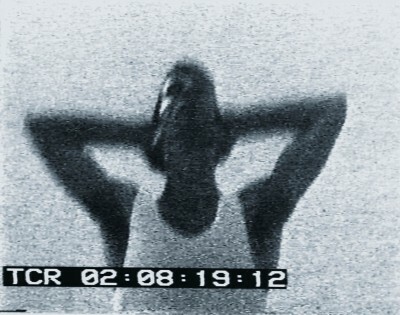 The film clip shown here is from a rehearsal of Landings from the In Retrospect performance at the RCA in 1996/7. 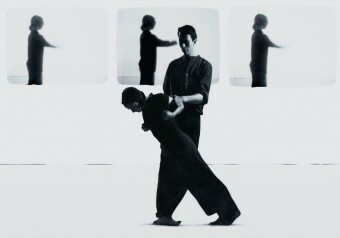 The second film clip shown here is from a rehearsal of Pause and Loss for In Retrospect at the RCA in 1996/7. Rosemary Butcher Dance Company formed. For Scottish Theatre Ballet’s Moveable Workshop’s Scottish Tour. 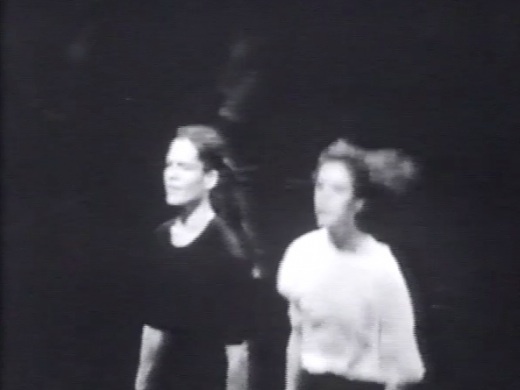 Studies with Merce Cunningham, Trisha Brown, Yvonne Rainer, Lucinda Childs and Meredith Monk. Performed and toured with the Elaine Summers Intermedia Dance Foundation. 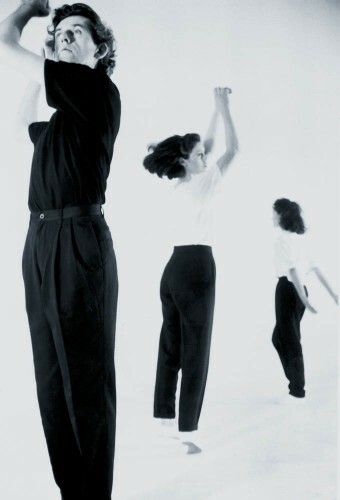 Scholarship to study at The Martha Graham School, New York, USA. Elm Grant scholarship to study at Maryland University, USA. 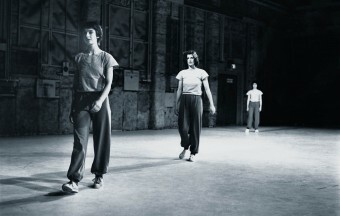 Dance and Theatre Course (Rosemary was the first contemporary dance student on the new course).